This was Christmas Eve and 9 days after our WallyBubba was born. We laid her down on the sofa for a nap, then one of our cats came and snuggled next to her and she gave us a little smile in her sleep. (Well, we like to kid ourselves that it was a smile and not just wind…) Like typical new parents we of course had a choice of cameras handy, and managed to snap a magical little Christmas moment. Ahhhhhhhh. And I’d just like to add if you don’t think this is the cutest photo you’ve ever seen you are basically dead. 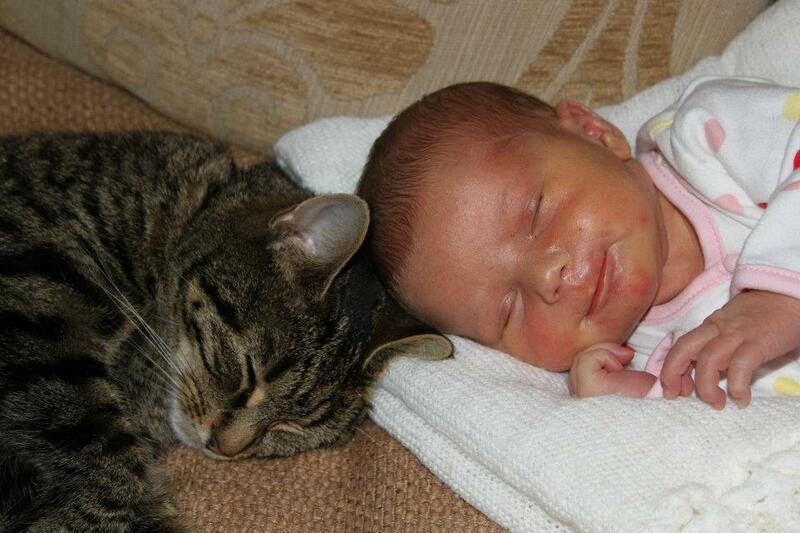 They both look so content and just to let you know that wallybubba's cheeks are looking very edible…too cute!